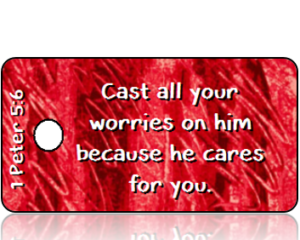 Psalms 73:26 (ESV) - "My flesh and my heart may fail, But God is the strength of my heart and my portion forever." 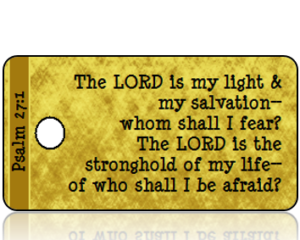 Psalm 62:6 (NIV) - "Truly he is my rock and my salvation; he is my fortress, I will not be shaken." 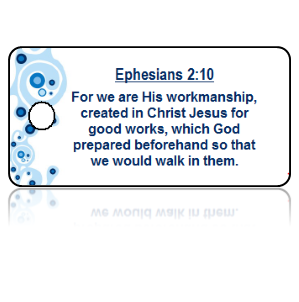 Psalm 51:10 (ASV) - "Create in me a clean heart, O God; and renew a right spirit within me." 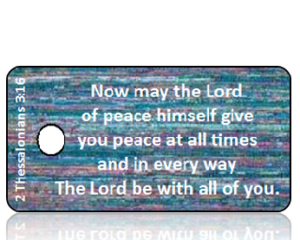 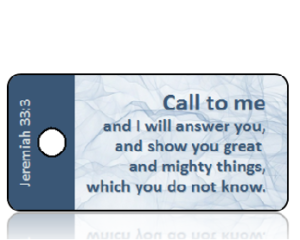 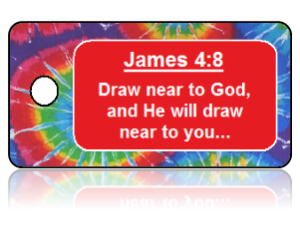 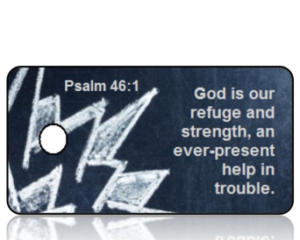 Psalm 46:10 (ESV) - "Be still, and know that I am God! 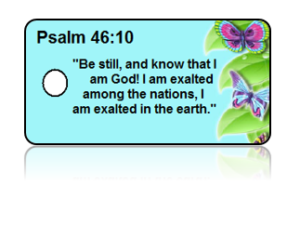 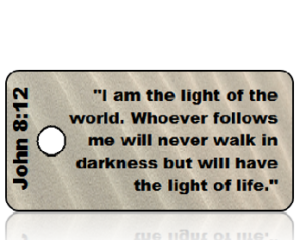 I am exalted among the nations, I am exalted in the earth." 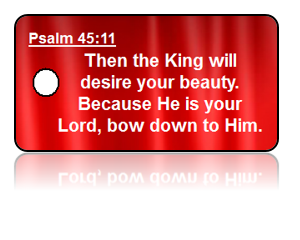 Psalm 45:11 (NAS) - "Then the King will desire your beauty. 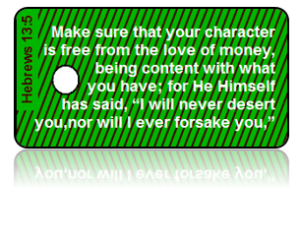 Because He is your Lord, bow down to Him." 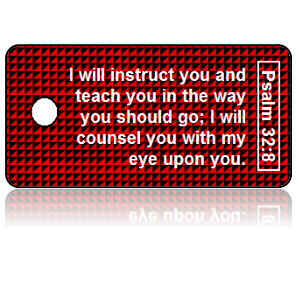 Psalm 32:8 (ESV) - "I will instruct you and teach you in a they way you should go; I will counsel you with my eye upon you." 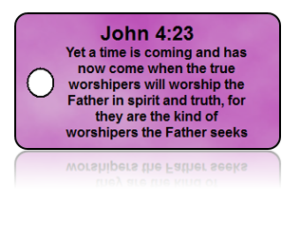 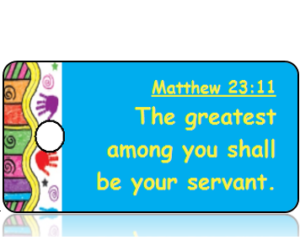 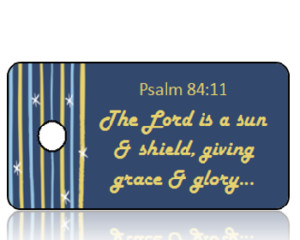 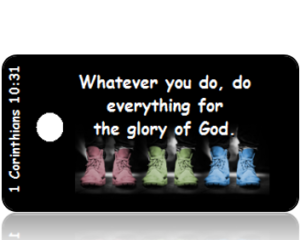 Psalm 29:2 (KJV) - "Give unto the Lord the glory due unto his name; worship the Lord in the beauty of holiness." 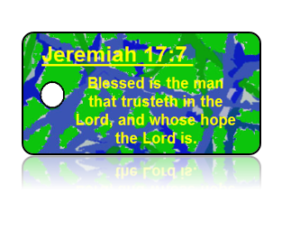 Psalm 27:4 (KJV) - "One thing I have desired of the Lord, that will I see after; that I may dwell in the house of the Lord all of the days of my life, to behold the beauty of the Lord, and to inquire in his temple." 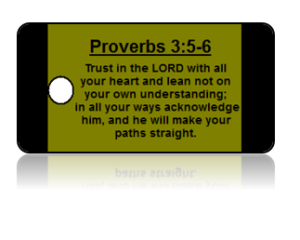 Psalm 25:4-5 (NIV) - "Show me thy ways, O Lord; teach me thy paths. 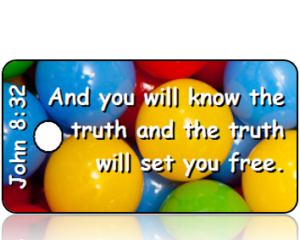 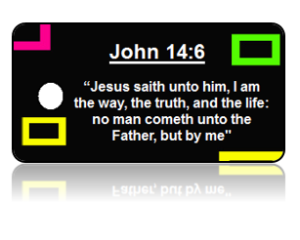 Lead me in thy truth, and teach me." 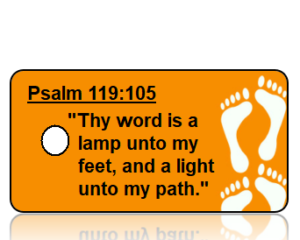 Psalm 25:4-5 (NIV) - "Show me your ways, Lord, teach me your paths; guide me in your truth and teach me, for you are God my Savior, and my hope is in you all day long." 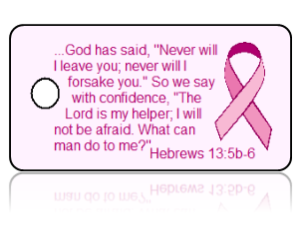 Psalm 23:4 (ASV) - "Yea, though I walk through the valley of the shadow of death, I will fear no evil; for thou art with me; Thy rod and thy staff, they comfort me." 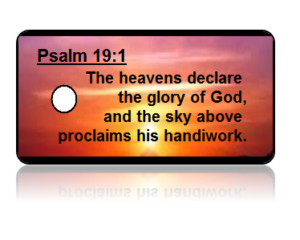 Psalm 19:1 (ESV) - "The heavens declare the glory of God, and the sky above proclaims his handiwork." 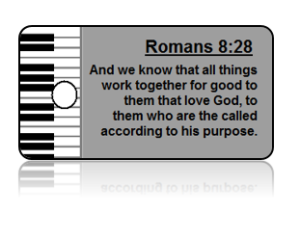 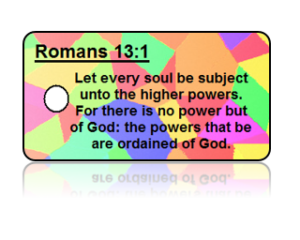 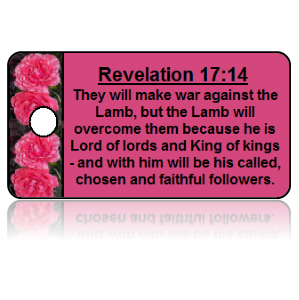 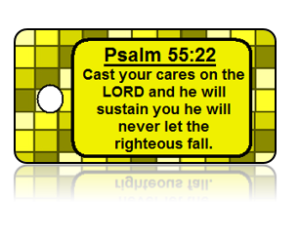 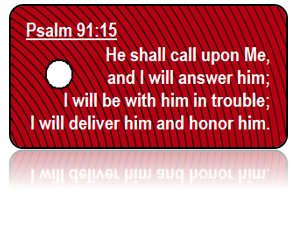 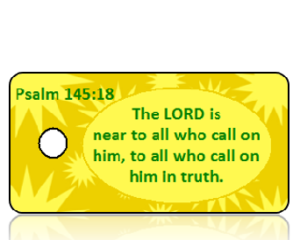 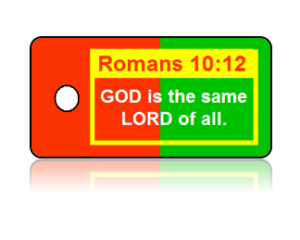 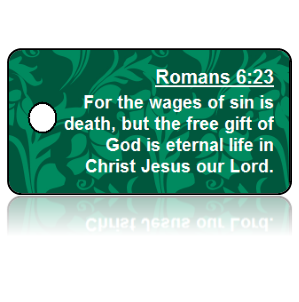 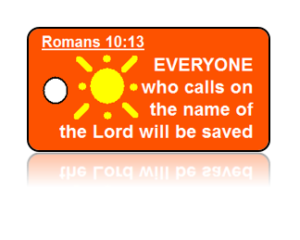 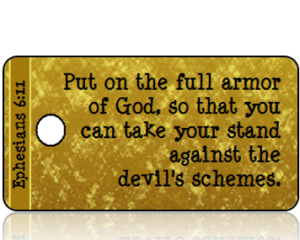 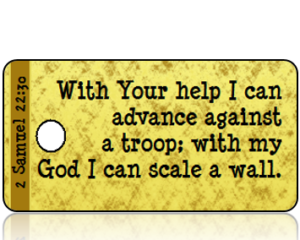 Psalm 18:3 (KJV) - "I will call upon the Lord, who is worthy to be praised: so shall I be saved from mine enemies." 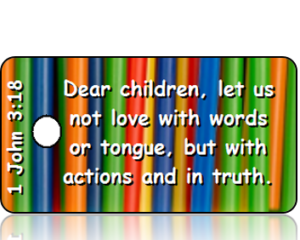 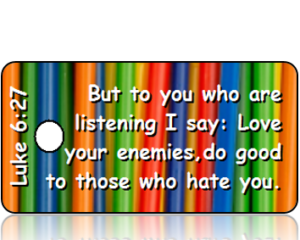 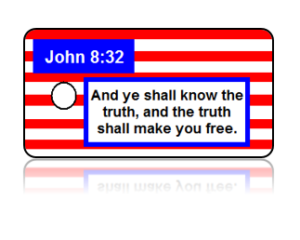 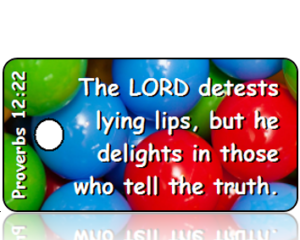 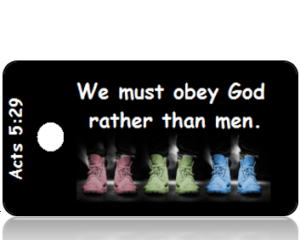 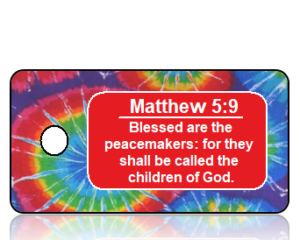 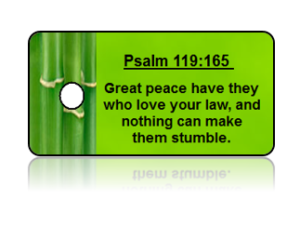 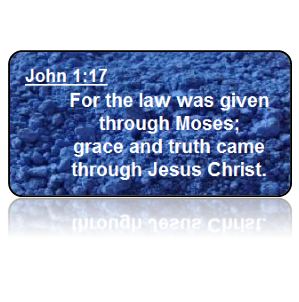 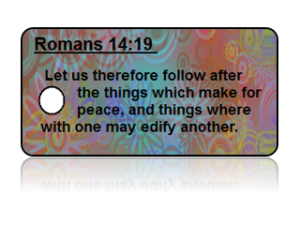 Psalm 119:165 (KJV) - "Great peace have they who love thy law: and nothing shall offend them." Psalm 119:10 (NKJV) - "White my whole heart I have sought You; Oh, let me not wander from Your commandments!" 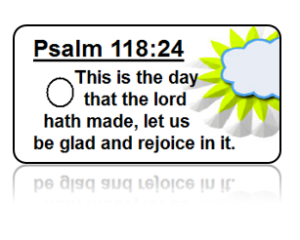 Psalm 118:24 (ESV) - "This is the day that the Lord hath made, let us be glad and rejoice in it." 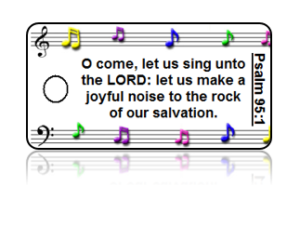 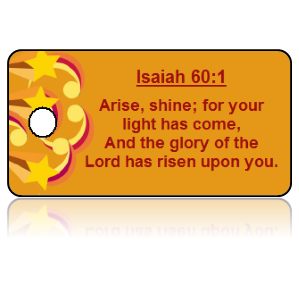 Psalm 106:1 (KJV) - "Praise ye the LORD. 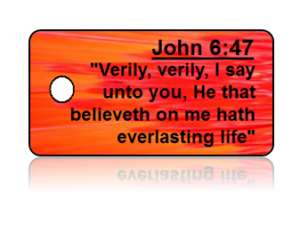 O give thanks unto the LORD; for he is good: for his mercy endureth for ever." 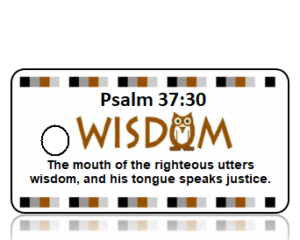 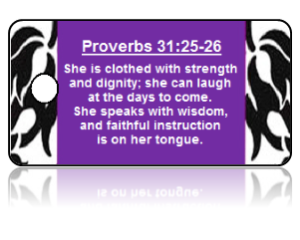 Proverbs 31:26 (NIV) - "She speaks with wisdom, and faithful instruction is on her tongue." 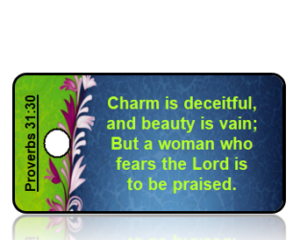 Proverbs 31:25-26 (NIV) - "She is clothed with strength and dignity, she can laugh at the says to come. 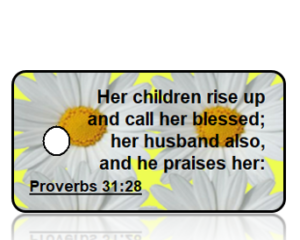 She speaks with wisdom, and faithful instruction is on her tongue." 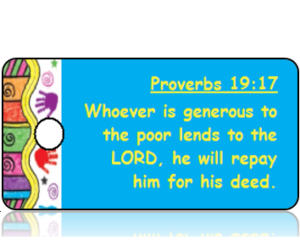 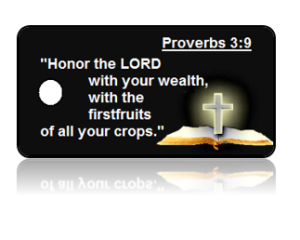 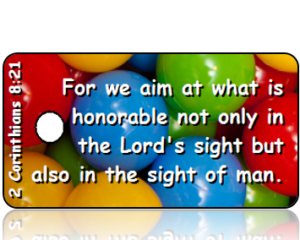 Proverbs 3:9 (NIV) - 'Honor the Lord with your wealth, with the first fruits of all your crops." 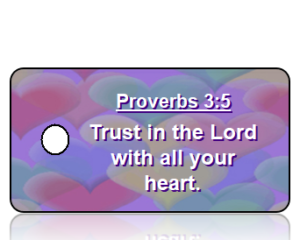 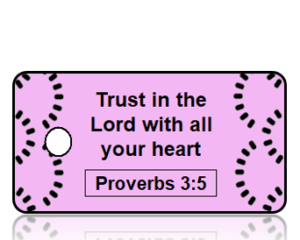 Proverbs 3:5-6 (NIV) - "Trust in the Lord with all your heart and lean not on your own understanding; in all your ways submit to him, and he will make your paths straight." 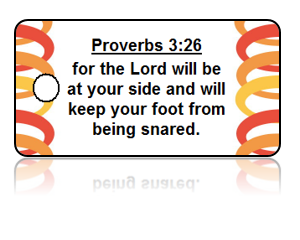 Proverbs 3:26 (NIV) - "for the LORD will be at your side and will keep your foot from being snared." 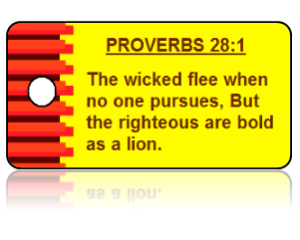 Proverbs 28:1 (ESV) - "The wicked flee when no one pursues, but the righteous are bold as a lion." 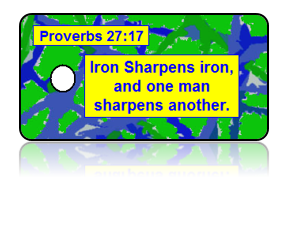 Proverbs 27:17 (ESV) - "Iron sharpens iron, and one man sharpens another." 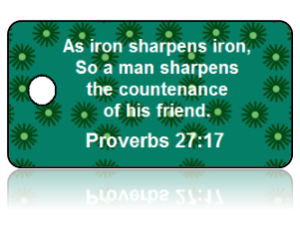 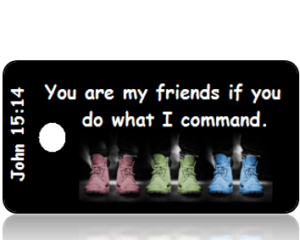 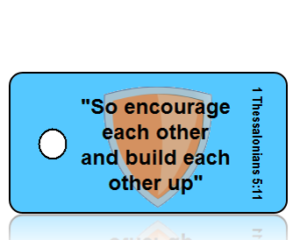 Proverbs 27:17 (ASV) - "Iron sharpens iron; So a man sharpens the countenance of his friend." 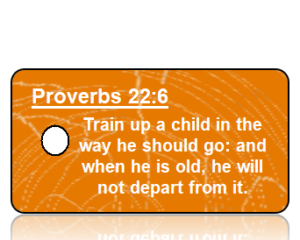 Proverbs 22:6 (NKJV) - "Train up a child in a way he should go, And when he is old he will not depart from it." 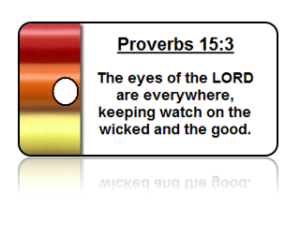 Proverbs 15:3 (NIV) - "The eyes of the LORD are everywhere, keeping watch on the wicked and the good." 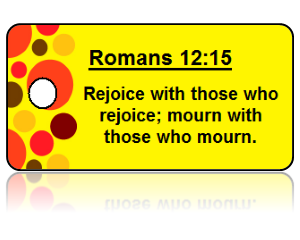 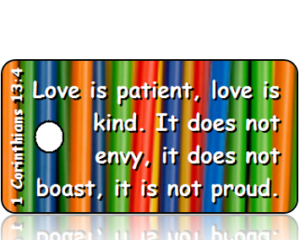 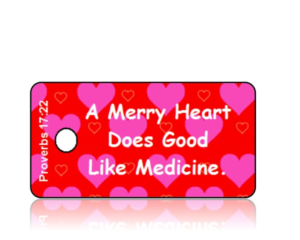 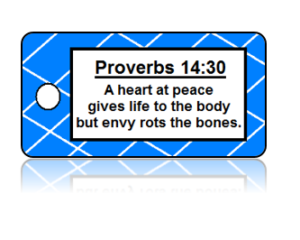 Proverbs 14:30 (NIV) - A heart at peace gives life to the body, but envy rots the bones. 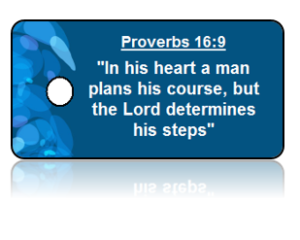 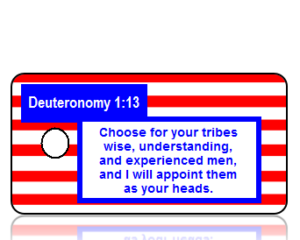 Proverbs 13:20 (NKJV) - He who walks with wise men will be wise. 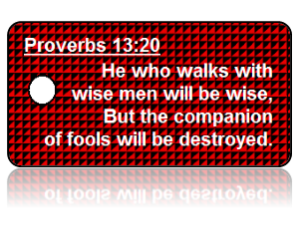 But the companion of fools will be destroyed. 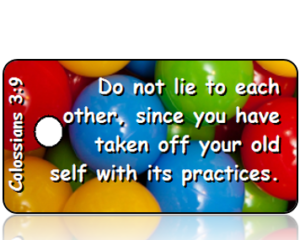 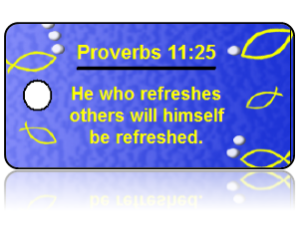 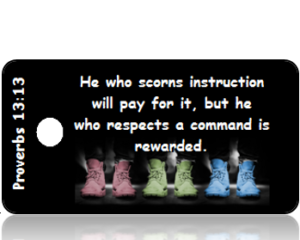 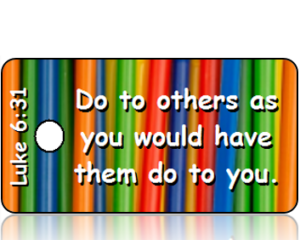 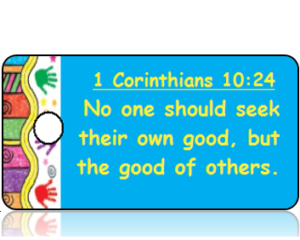 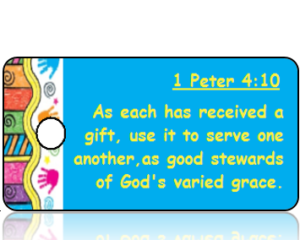 Proverbs 11:25 (NLT) - He who refreshes others will himself be refreshed. 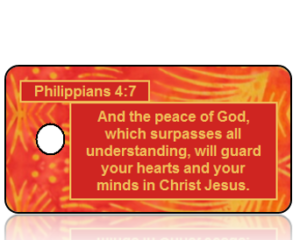 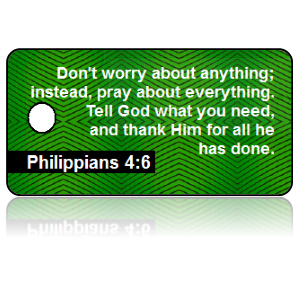 Philippians 4:6 (NLT) - Don’t worry about anything; instead, pray about everything. 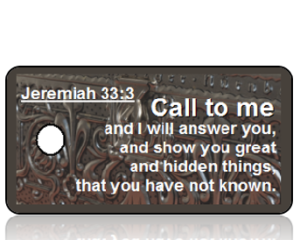 Tell God what you need, and thank him for all he has done. 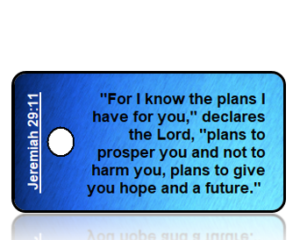 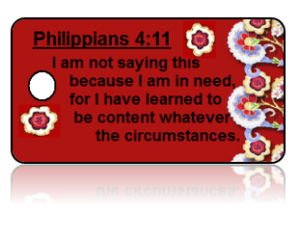 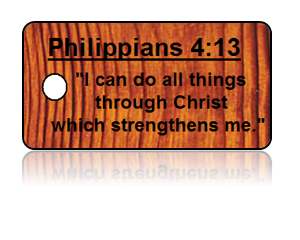 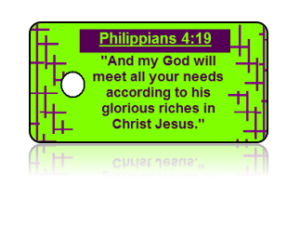 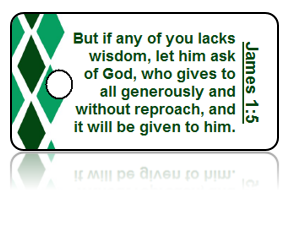 Philippians 4:19 (NIV) - And my God will meet all your needs according to the riches of his glory in Christ Jesus. 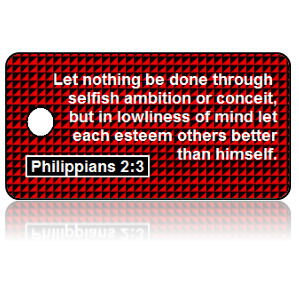 Philippians 2:3 (NJKV) - Let nothing be done through selfish ambition or conceit, but in lowliness of mind let each esteem others better than himself. 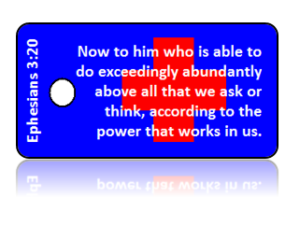 Ephesians 3:20 - Now to him who is able to do exceedingly abundantly above all that we ask or think, according to the power that works in us. 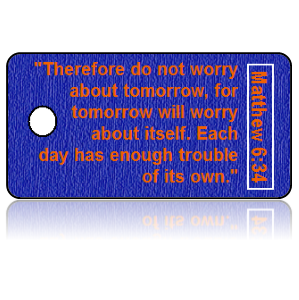 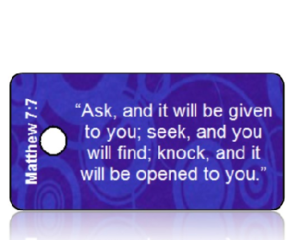 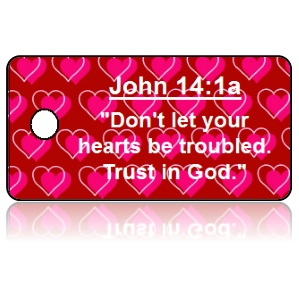 Matthew 6:34 (NIV) - Therefore do not worry about tomorrow, for tomorrow will worry about itself. 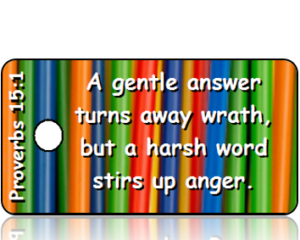 Each day has enough trouble of its own. 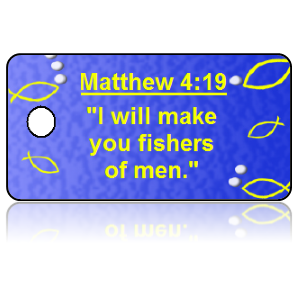 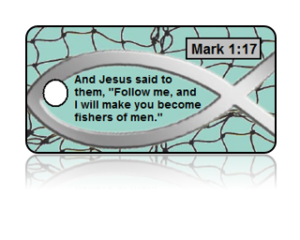 Matthew 4:19 (ESV) - I will make you fishers of men. 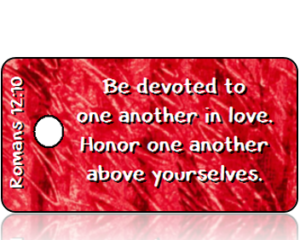 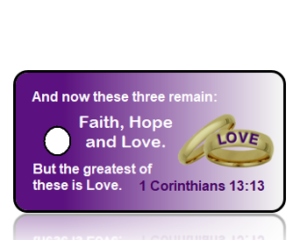 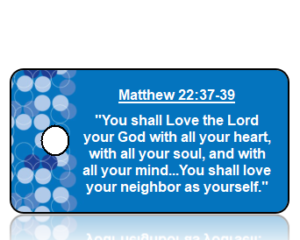 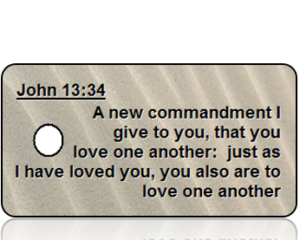 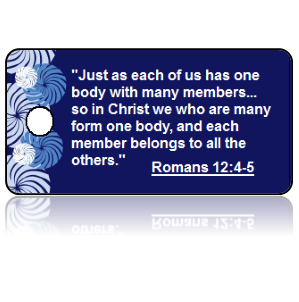 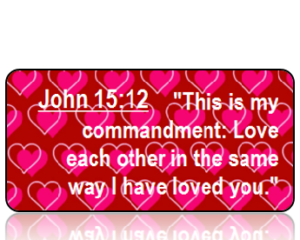 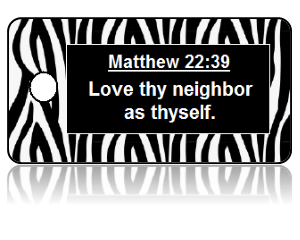 Matthew 22:39 (KJV) - Love thy neighbor as thyself. 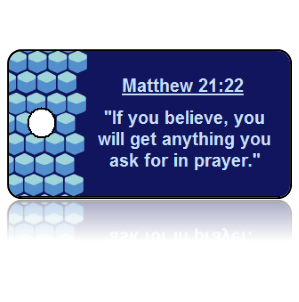 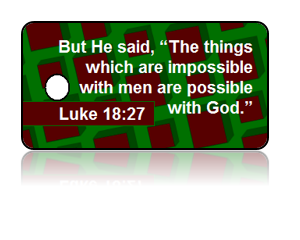 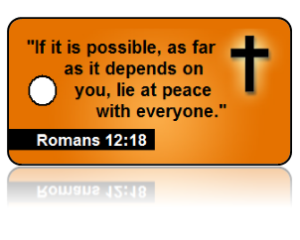 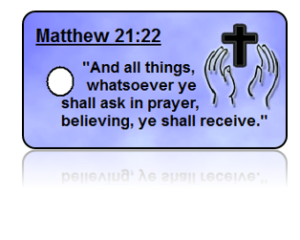 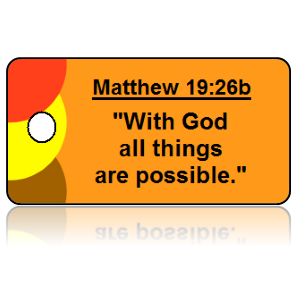 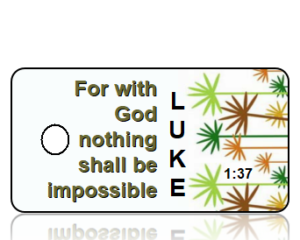 Matthew 19:26b (ESV) - With God all things are possible. 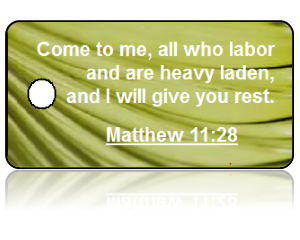 Matthew 11:28 (ESV) - Come to me, all who labor and are heavy laden and I will give you rest. 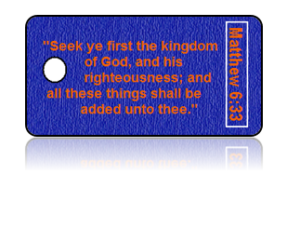 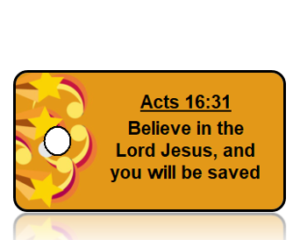 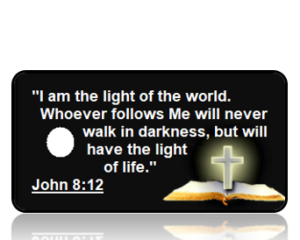 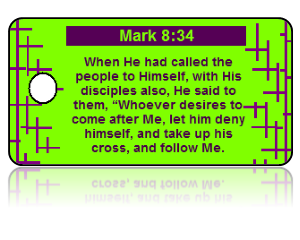 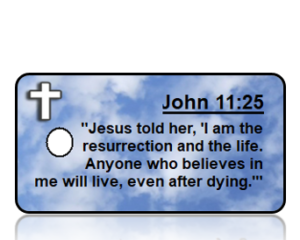 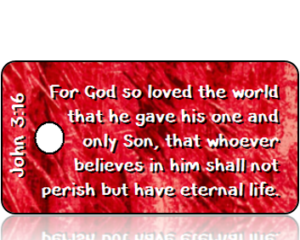 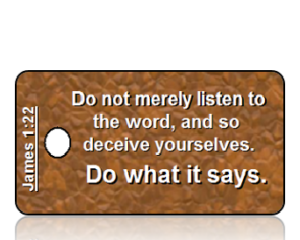 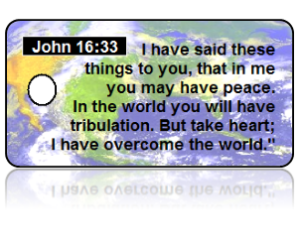 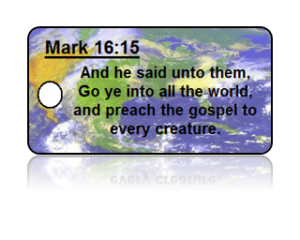 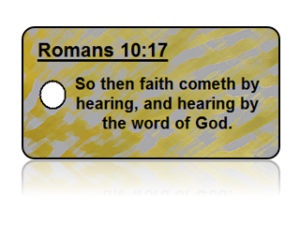 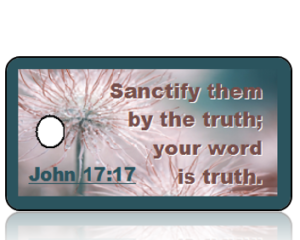 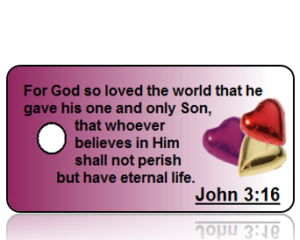 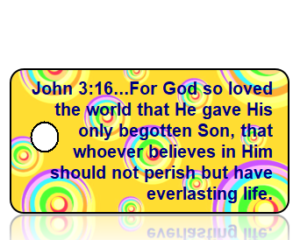 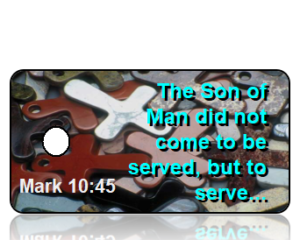 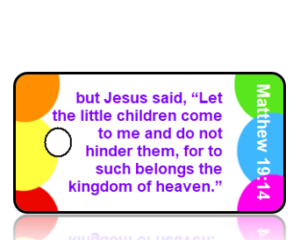 Mark 16:15 (KJV) - And he said unto them, Go ye into all the world and preach the gospel to every creature. 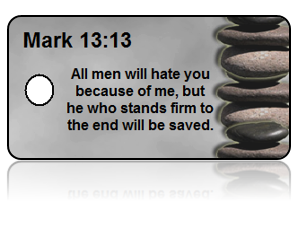 Mark 13:13 - All men will hate you because of me, but he who stands firm to the end will be saved. 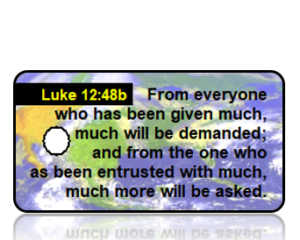 Luke 12:48b From everyone who has been given much, much will be demanded and from the one who has been entrusted with much, much more will be asked. 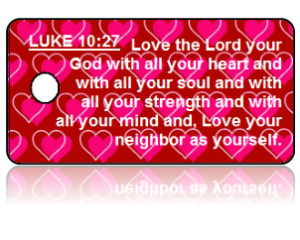 Luke 10:27 (NIV) - Love the Lord your God with all your heart and with all your soul and with all your strength and with all your mind and Love your neighbor as yourself. 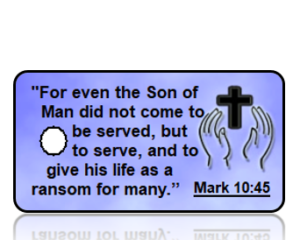 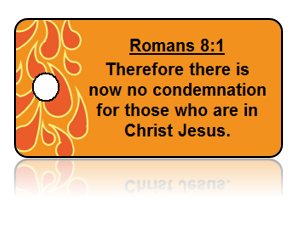 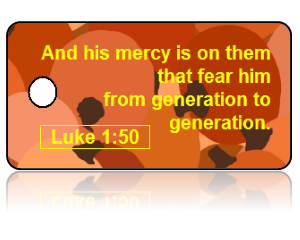 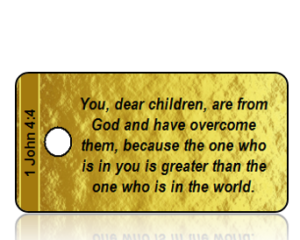 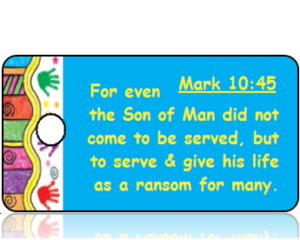 Luke 1:50 (KJV) - And his mercy is on them that fear him from generation to generation. 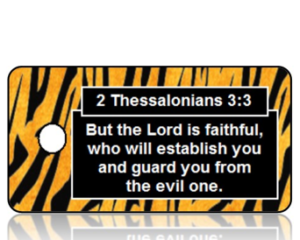 Lamentations 3:21-23 (ESV) - But this I call to mind, and therefore I have hope: The steadfast love of the Lord never ceases, his mercies never come to an end; they are now every morning; great is your faithfulness. 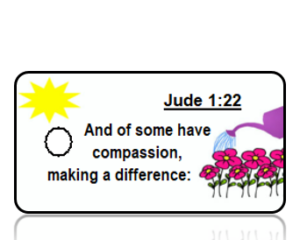 Jude 1:22 (KJV) - And of some have compassion, making a different. 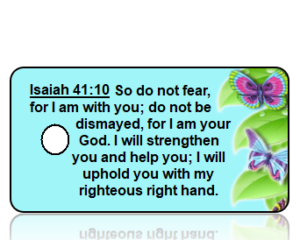 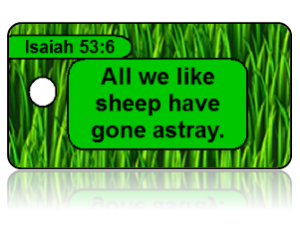 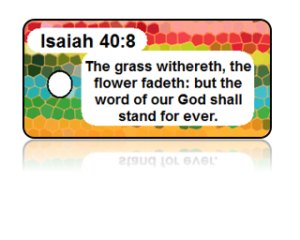 Isaiah 40:8 (ASV) - The grass withereth, the flower fadeth; but the word of our God shall stand forever. 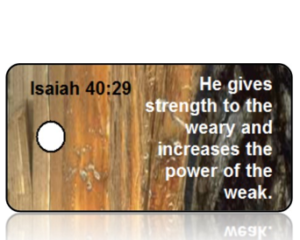 Isaiah 40:31 (NKJV) - But those who wait on the Lord Shall renew their strength; They shall mount up with wings like eagles, They shall run and not be weary, They shall walk and not faint. 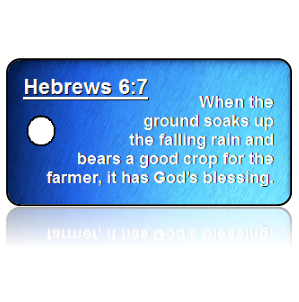 Hebrews 6:7 (NLT) - When the ground soaks up the falling rain and bears a good crop for the farmer, it has God’s blessing. 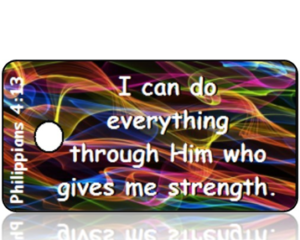 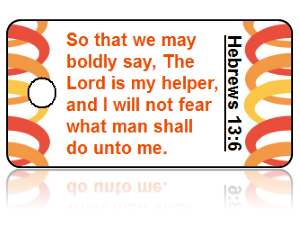 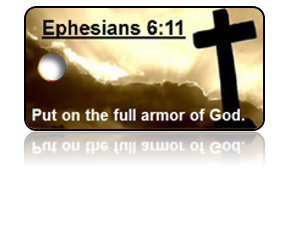 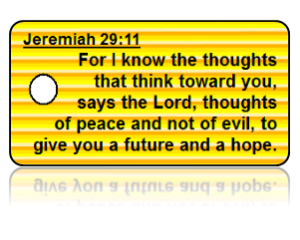 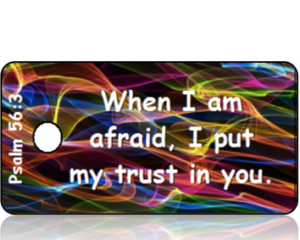 Hebrews 13:6 (KJV) - So that we may boldly say , The Lord is my helper, and I will not fear what man shall do unto me. 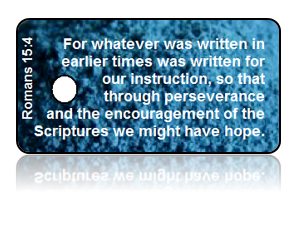 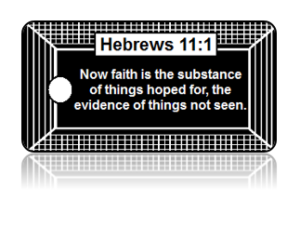 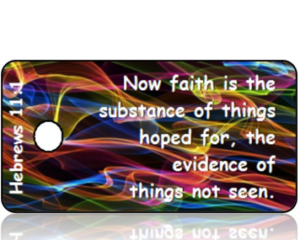 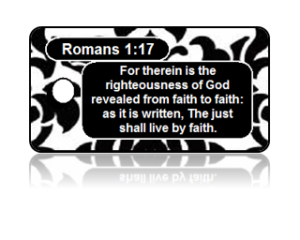 Hebrews 11:1 (KJV) - Now faith is the substance of things hoped for, the evidence of things not seen. 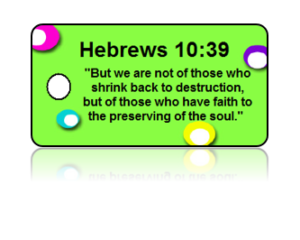 Hebrews 10:39 (ESV) - But we are not of those who shrink back to destruction, but of those who have faith and preserve their souls. 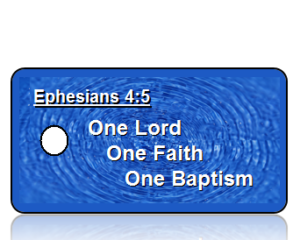 Hebrews 10:22 (ASV) - Let us draw near with a true heart in fullness of faith, having our hearts sprinkled from an evil conscience: and having our body washed with pure water. 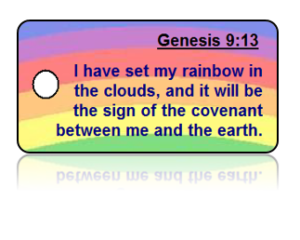 Genesis 9:13 (ESV) - I have set my bow in the cloud, and it shall be a sign of the covenant between me and the earth. 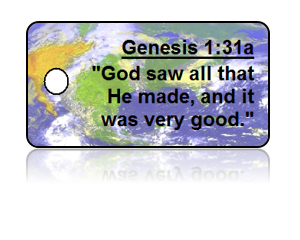 Genesis 1:31a (NIV) - God saw all that He made and it was very good. 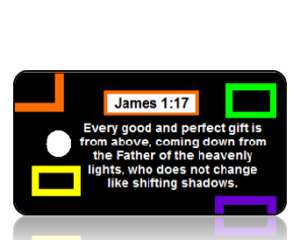 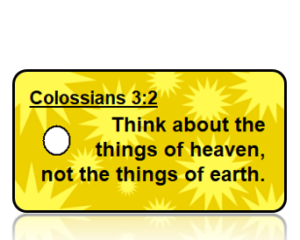 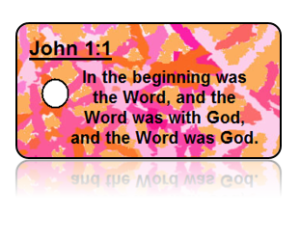 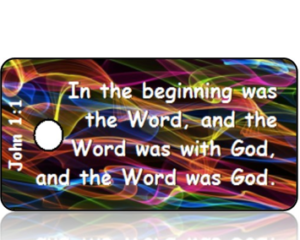 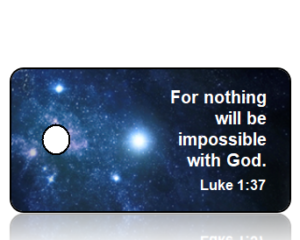 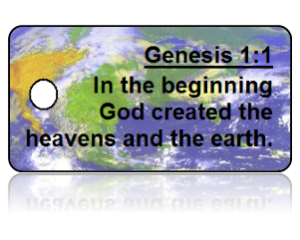 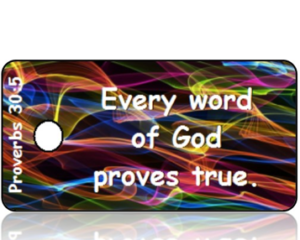 Genesis 1:1 (ASV) - In the beginning God created the heavens and the earth. 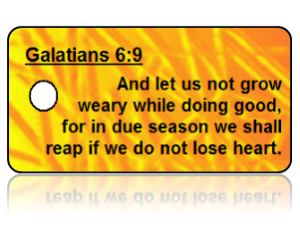 Galatians 6:9 (ESV) - And let us not grow weary of doing good, for in due season we will reap, if we do not give up. 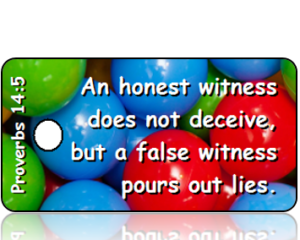 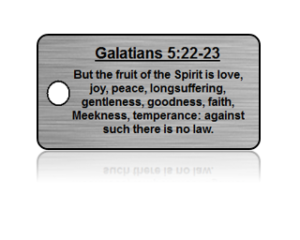 Galatians 5:22-23 (KJV) - But the fruit of the Spirit is love, joy, peace, long suffering, gentleness, goodness, faith, meekness, temperance: against such there is no law. 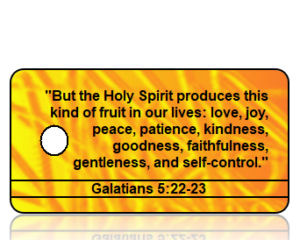 Galatians 5:22-23 (NLT) - But the Holy Spirit produces this kind of fruit in our lives, love, joy, peace, patience, kindness, goodness, faithfulness, gentleness and self-control. 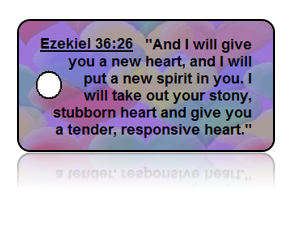 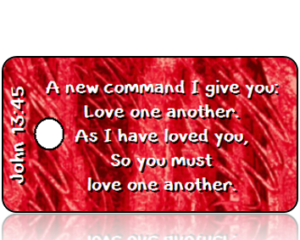 Ezekiel 36:26 (NLT) - And I will give you a new heart, and I will put a new spirit in you. 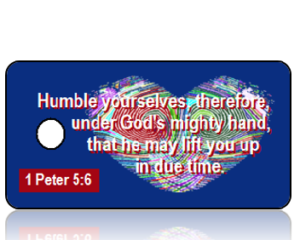 I will take out your stony, stubborn heart and give you a tender, responsive heart. 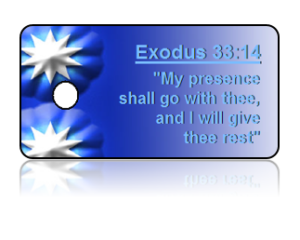 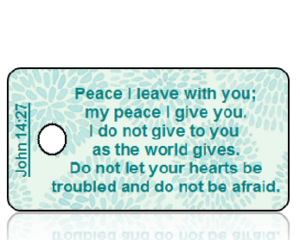 Exodus 33:14 (KJV) - My presence shall go with thee, and I will give thee rest. 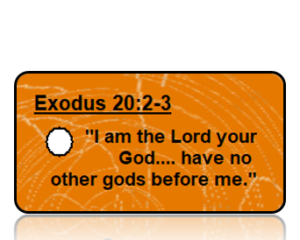 Exodus 20:2-3 "I am the Lord your God... have no other gods before me." 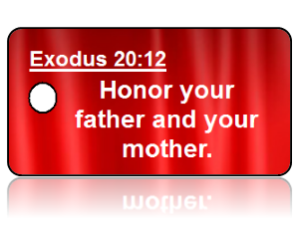 Exodus 20:12 (NIV) - Honor your father and your mother. 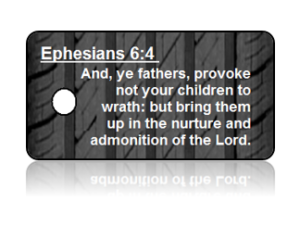 Ephesians 6:4 (KJV) - And, ye fathers, provoke not your children to wrath: but bring them up in the nurture and admonition of the Lord. 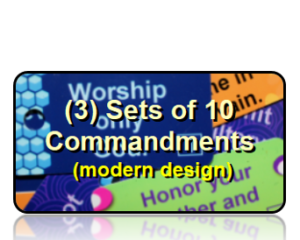 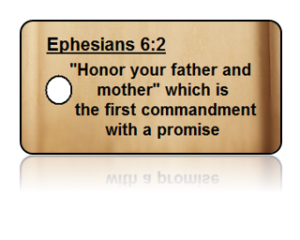 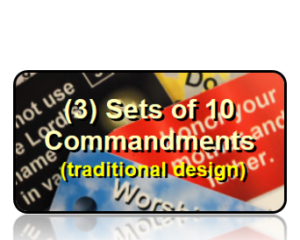 Ephesians 6:2 (NIV) - Honor your father and mother” which is the first commandment with a promise. 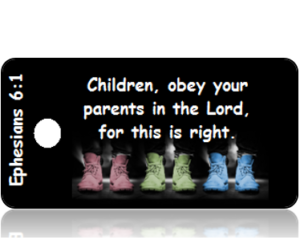 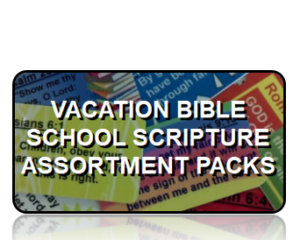 Ephesians 6:1 (NIV) - Children, obey your parents in the Lord, for this is right. 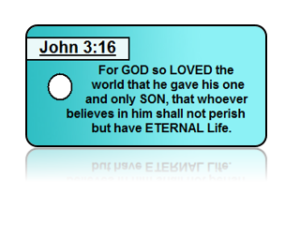 Ephesians 5:31 (NIV) - For this reason a man will leave his father and mother and be united to his wife, and the two will become one flesh. 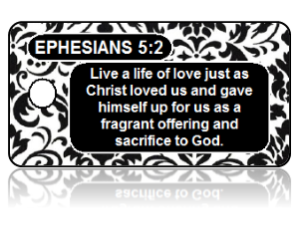 Ephesians 5:2 - Live a life of love just as Christ loved us and gave himself up for us as a fragrant offering and sacrifice to God. 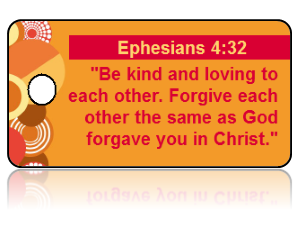 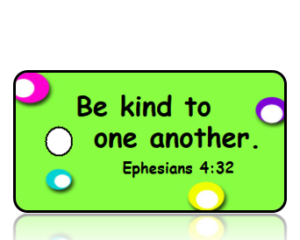 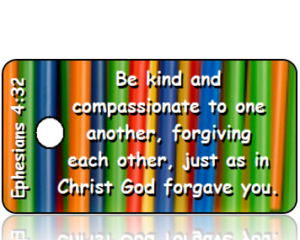 Ephesians 4:32 (NKJV) - And be kind to one another, tenderhearted, forgiving one another, just as God in Christ forgave you. 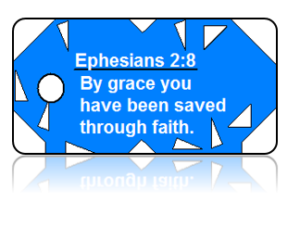 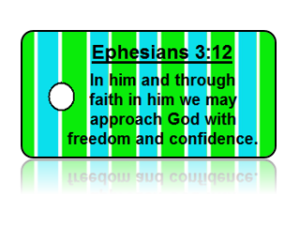 Ephesians 3:12 (NIV) - In him and through faith in him we may approach God with freedom and confidence. 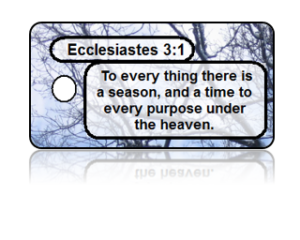 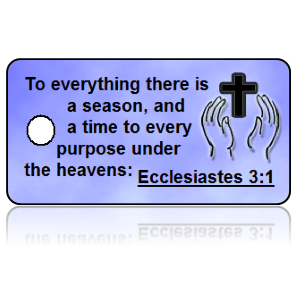 Ecclesiastes 3:1 (KJV) - To every thing there is a season, and a time to every purpose under the heaven. 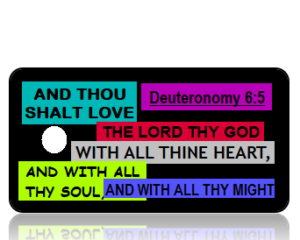 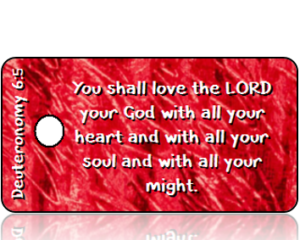 Deuteronomy 6:5 (KJV) - And though shalt love the Lord thy God with all thine heart, and with all thy soul, and with all thy might. 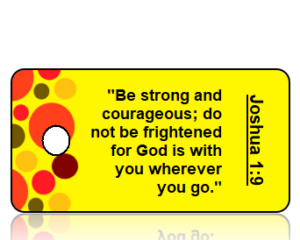 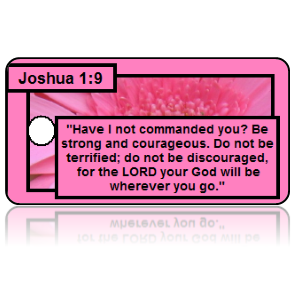 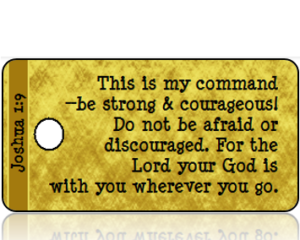 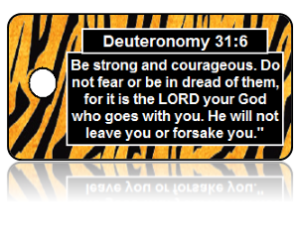 Deuteronomy 31:6 (ESV) - Be strong and courageous. 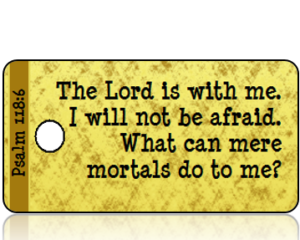 Do not fear or be in dread of them, for it is the LORD your God who goes with you. 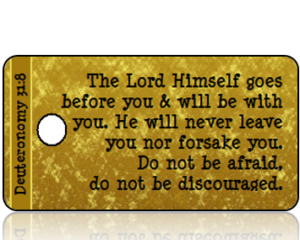 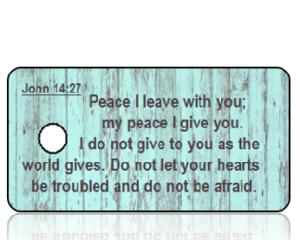 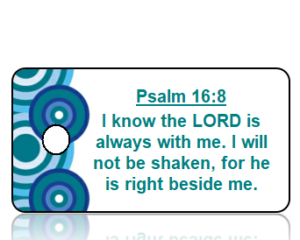 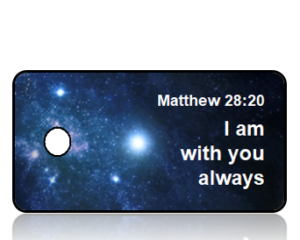 He will not leave you or forsake you.